Having proved skeptics wrong, and still not content growing “regular” fruit, I began dreaming big – of meteoric size fruit! Last year I planted white pumpkin in perverse delight – just to see what happens! 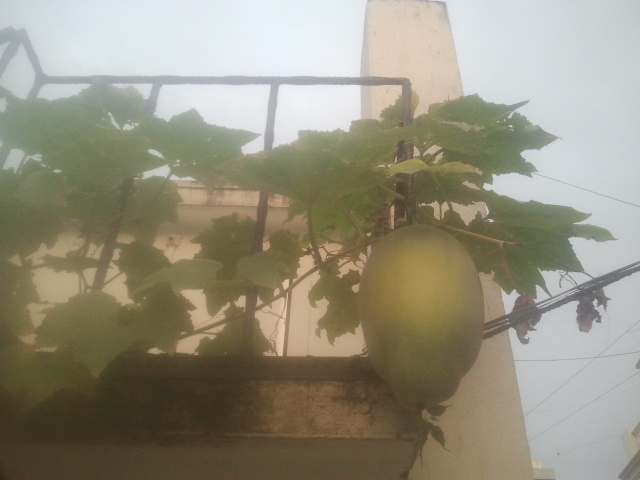 It was planted in a 15 litre container and this is what it grew into…. Cheers Mother Nature – the fruit is the size of the container!!! 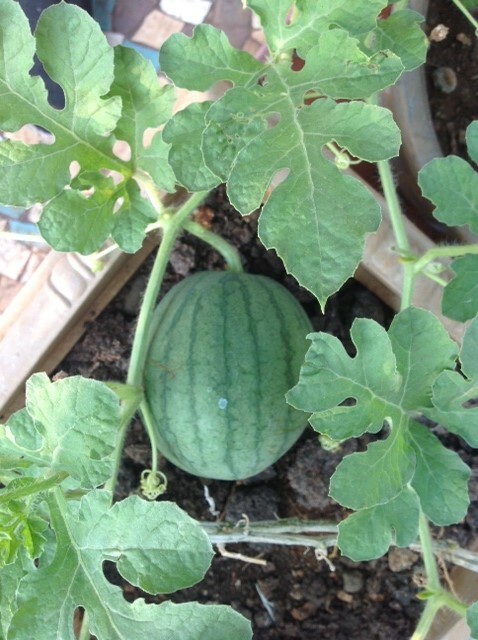 Dreaming big again, I planted two of my favorite fruit this year – watermelon and black sugarcane. I am one of those fanatics of black sugarcane who wait with restless anticipation for it to hit the market in November, and cry when the season ends in February. I have left my wallet with vendors in the excitement of finding my bounty on at least one occasion, and will go to absurd lengths to hunt down those rare cane vendors, harassing them until I get the fattest, sweetest, blackest cane to haul away home to eat in greedy delight! 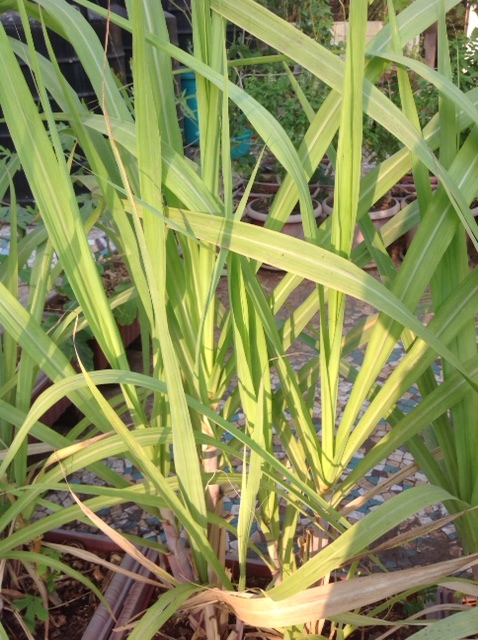 Black sugarcane is easy to grow. Take a freshly cut cane segment with root nodes intact, place it laterally in soil, and water. The first shoots come up in about ten days. 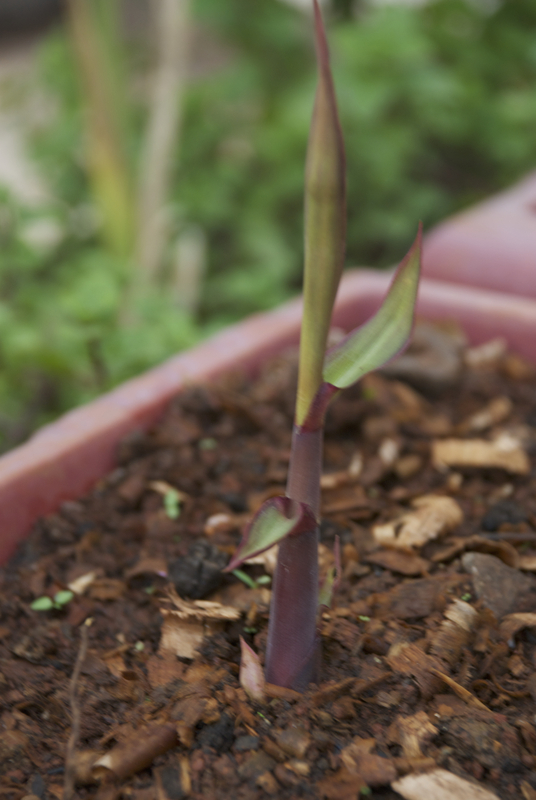 Sugarcane shoots in January…growing strong by April…cannot wait for November! And now for the love of my summer season – watermelon! A first time fruit for me, I planted seeds in March with some amount of detachment. And was then taken aback in absolute wonder as it vigorously sprung into life, and is now frantically scrambling all over my terrace! …here’s somebody who’s going to grow big pretty soon…. 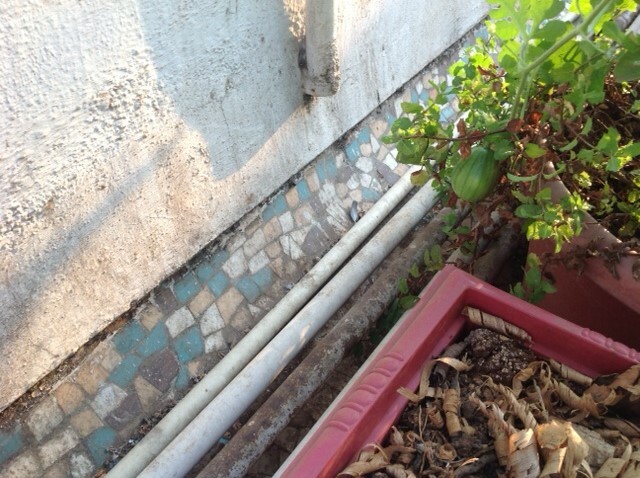 …there’s a shy one hiding in the corner…. …and here’s the frontrunner of the season, doubling in size every week! Will the watermelons get as big as the white pumpkin did? Should I wait to grow meteoric-sized biggies, or just gobble them down when I can’t bear the torture anymore? Are they going to be sweet or seedless? How many watermelons can a single plant produce? How many watermelons can a single farmer eat? Should I part with some to gift to skeptics, just to prove a point?! 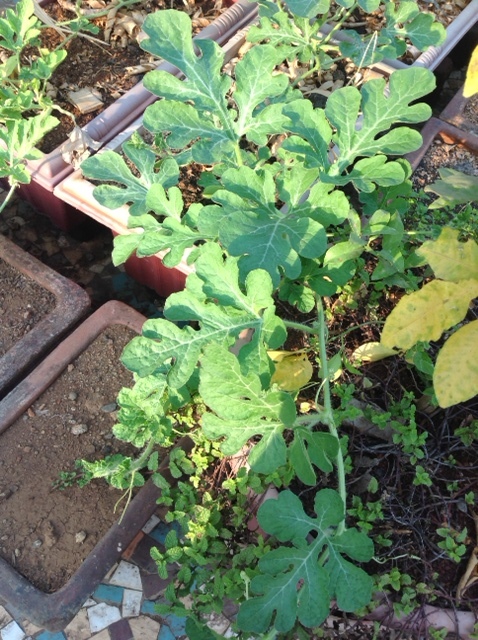 This entry was posted in agriculture, Bombay, city, Container, Farming, Gardening, green, Hobby, lifestyle, Organic, Sustainable, Terrace, Tropical, urban and tagged agri, agriculture, agritech, consult, container, eco, ecotech, farming, fruit, garden, gardening, green, grow, mumbai, organic, project, sugarcane, sustainable, terrace, urban, vegetables, watermelon on May 2, 2014 by Mandy. 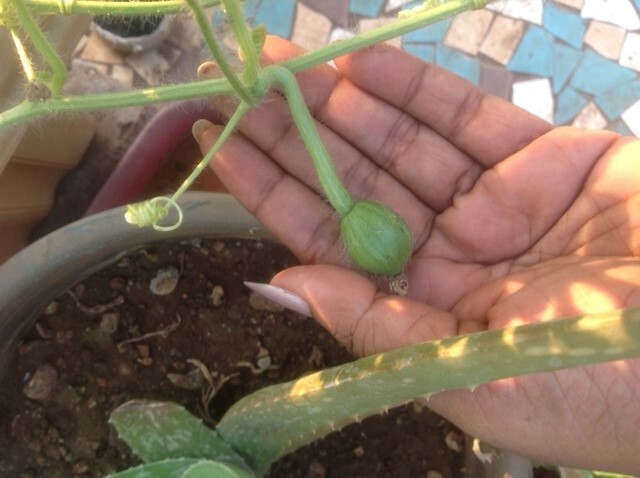 Hi Farzana…please browse through this site and check out the pages on What to Grow, When to Grow and How to Grow. You will find all the info you need to get started. Good luck!